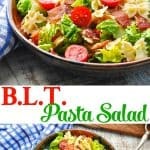 This easy pasta salad recipe combines all of your favorite flavors from a classic BLT sandwich! 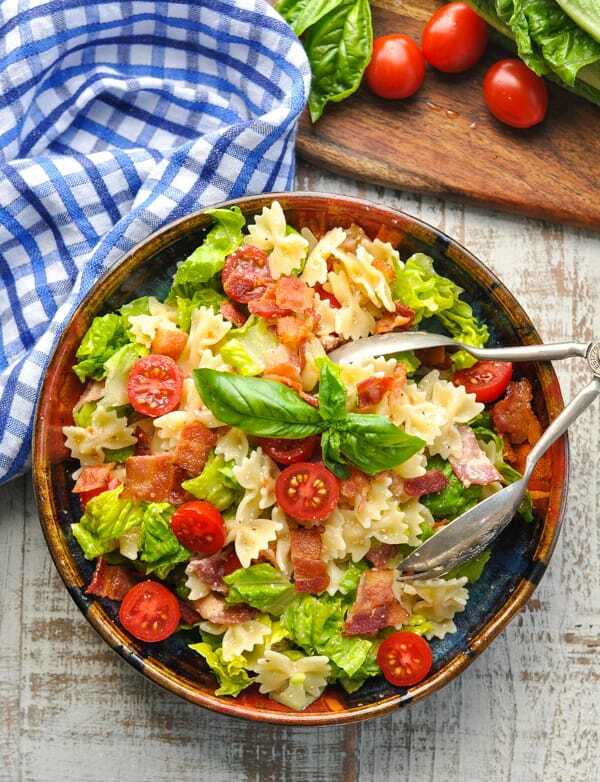 This BLT Pasta Salad takes all of the flavors from your favorite sandwich and combines them with pasta in a zesty, flavorful make-ahead meal. 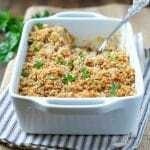 It’s perfect for a summer lunch or dinner, and can be served as either a side dish or as an entree. When the weather is nice and warm (as it has been recently), Keith often likes to spend some time on Saturday or Sunday smoking barbecued meat for dinner. It’s definitely a hobby of his. 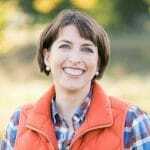 A hobby that involves large pork shoulders, huge quantities of chicken, and meaty beef roasts. And believe me – the boys love to participate. After helping their dad start the fire, they usually find some sticks to use as skewers for roasting marshmallows…even if the marshmallow consumption happens at 8:30 a.m.
On the days that Keith has his smoker going, I know that I’m largely off the hook for dinner. Since he’s in charge of the meat, I only need to worry about a few sides. 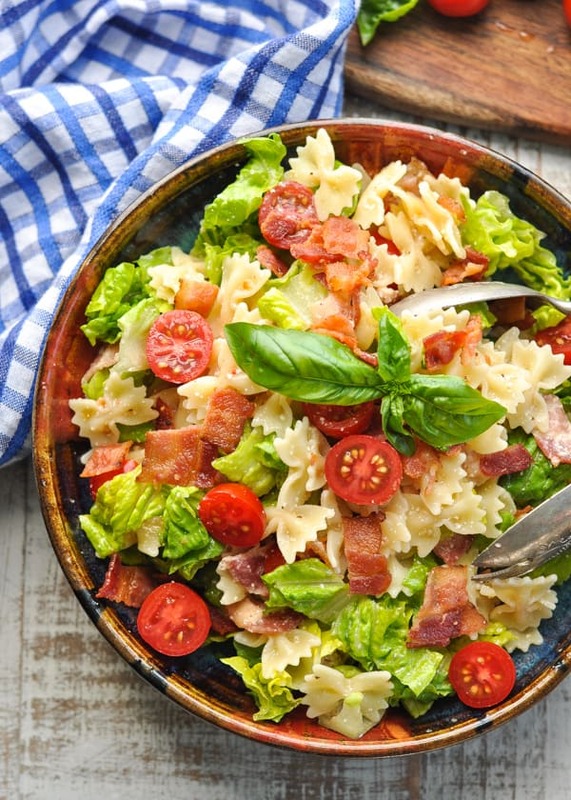 I often serve cornbread or potato salad, but last weekend I decided to try this new dish: BLT Pasta Salad! That’s right. Bacon. Lettuce. And Tomato. 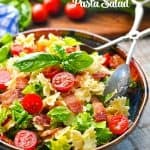 In pasta salad. What’s not to like? 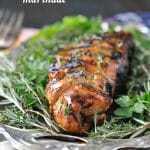 It was a big hit with all of my boys, so I’m sure that your family will enjoy it too. Cook pasta according to package instructions. Drain and rinse under cold water until cool. 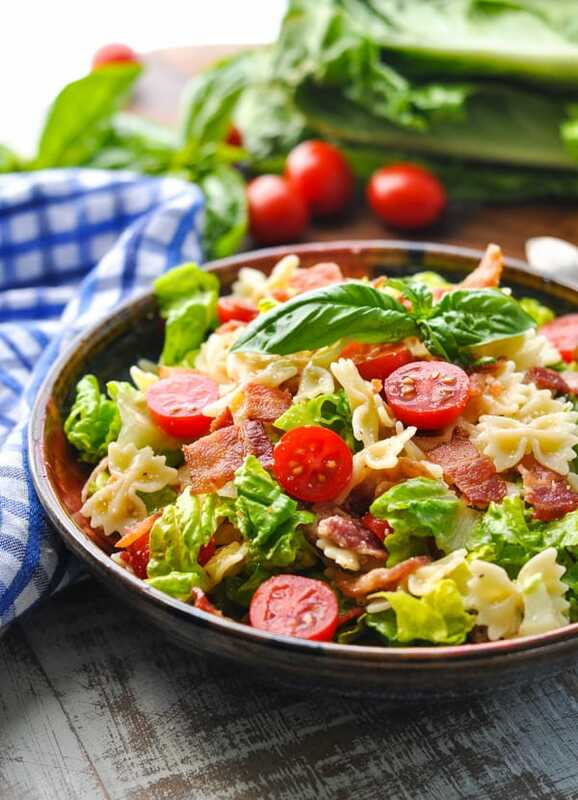 In a large bowl, gently toss together cooked pasta, tomatoes, bacon, Parmesan cheese, and Italian dressing. Cover and refrigerate until ready to serve. 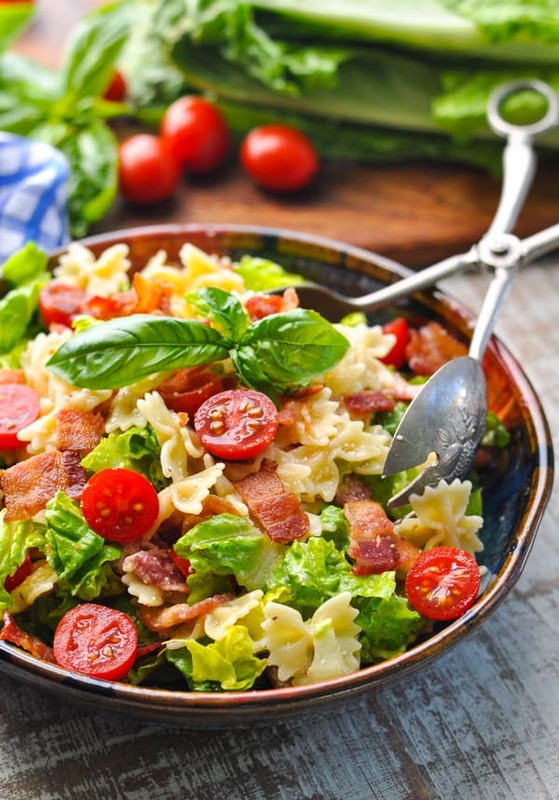 Make sure to cook the bacon crispy so you don’t get undercooked fat in your salad. 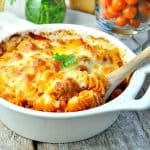 Don’t toss the ingredients with hot pasta, make sure to cool it down with cold water. 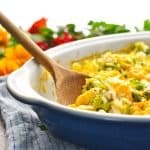 Feel free to add in extra ingredients such as olives or sundried tomatoes. Add the lettuce last minute as it will wilt quickly. You can store this salad in a plastic container and take on picnics or work. If making in advance just layer the lettuce on top of the pasta and mix it in just as you’re about to eat. This will help keep the lettuce fresh and crisp for longer. 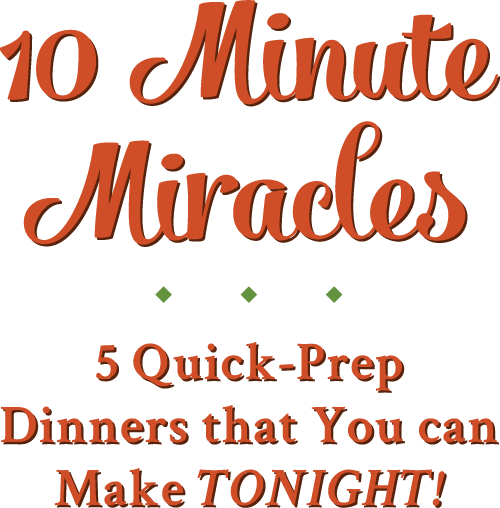 This yields 4 servings for a main course, or about 8 servings for a side dish. 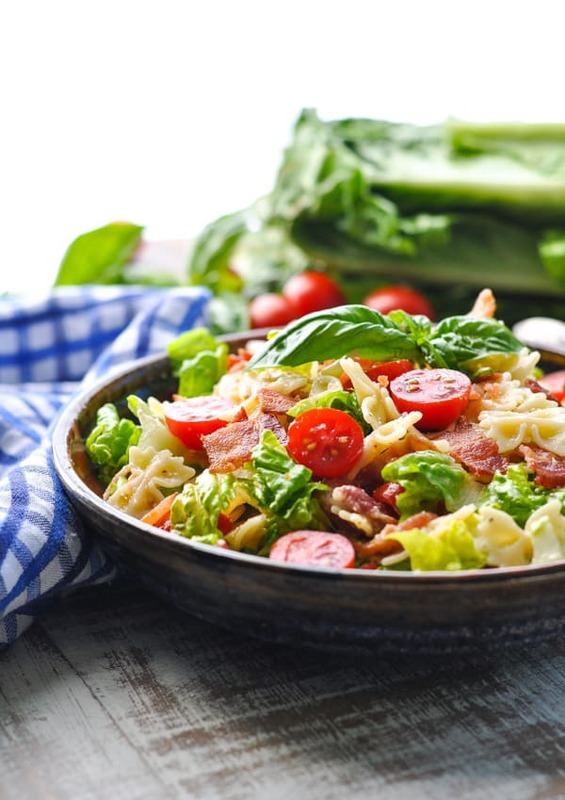 Make sure to cook the bacon crispy so you don't get undercooked fat in your salad. Don't toss the ingredients with hot pasta, make sure to cool it down with cold water. If making in advance just layer the lettuce on top of the pasta and mix it in just as you're about to eat. This will help keep the lettuce fresh and crisp for longer. 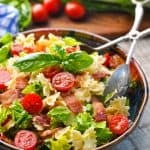 BLT was my favourite sandwich growing up so I’m going to love this salad!